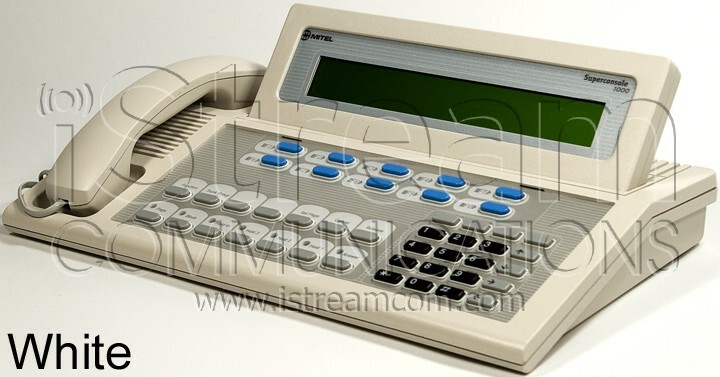 IMPORTANT: Do you have a worn-out or non-working Mitel Superconsole 1000? For only $375 we will send you a Mitel Superconsole 1000 loaner console to use while we repair and refurbish yours. Contact us for details. Don't need a loaner console? Send us your Mitel Superconsole 1000 to be repaired and refurbished for only $299. Click here for details. The Mitel Superconsole 1000 works with most SX-200 and SX-2000 systems. PLEASE NOTE: There are multiple versions of the Superconsole 1000. Be sure to select the part number of the version you need by using the drop-down box above the "Add to Shopping Cart" button. The part number is located on a sticker on the bottom of the console and begins with "9189-000". 9189-000-001 - Beige with a tilt screen. 9189-000-011 - Light Gray with a tilt screen. 9189-000-014 - Light Gray with a tilt screen. 9189-000-016 - Light Gray with a tilt screen. 9189-000-017 - Light Gray with a tilt screen. 9189-000-300 - White with an illuminated tilt screen. 9189-000-301 - Dark Gray with an illuminated tilt screen. 9189-000-400 - White with an illuminated tilt screen. 9189-000-401 - Dark Gray with an illuminated tilt screen. 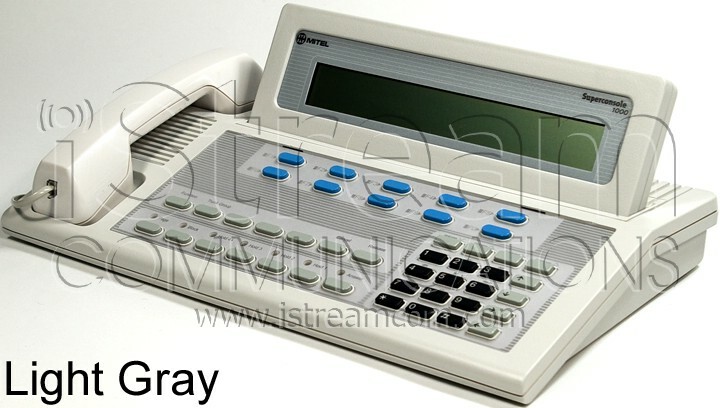 This item has been completely refurbished by iStream Communications to look and operate like new. Unlike others, our refurbishing process does NOT consist of just a simple cleaning. All refurbished telephone sets and consoles have undergone a rigorous multi-step reconditioning process. This includes a complete inspection of hardware/mechanical components and a complete electronics diagnostics test.